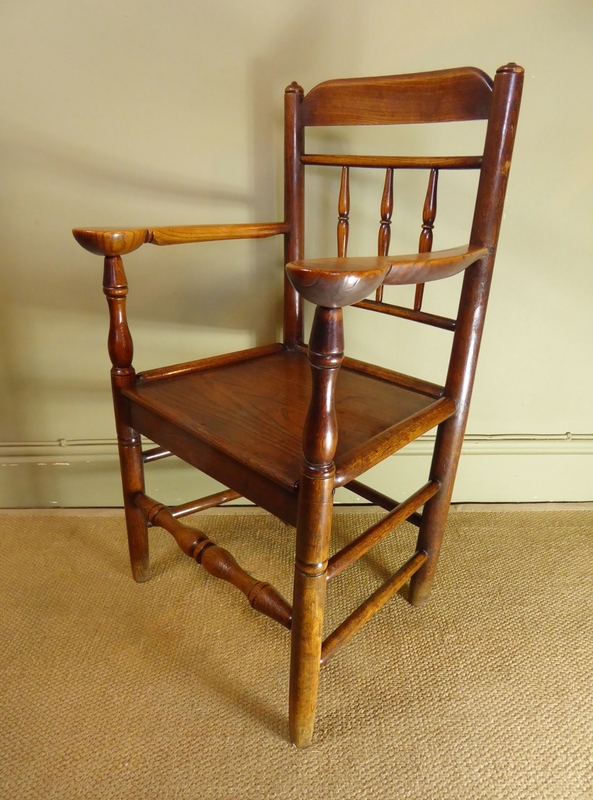 An Early 19th Century Clisset Arm Chair. 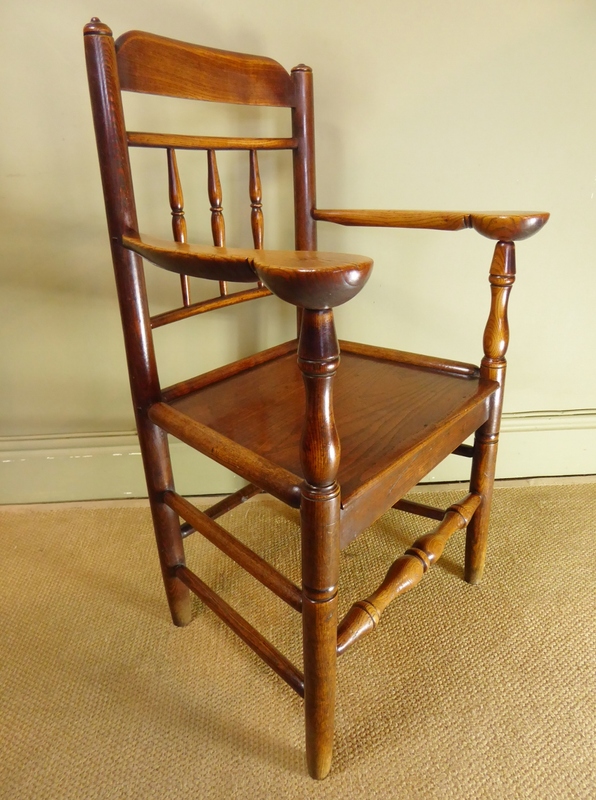 The oak and elm chair with a shaped and curved top rail, above a panel of three spindles, each turned and tapered. 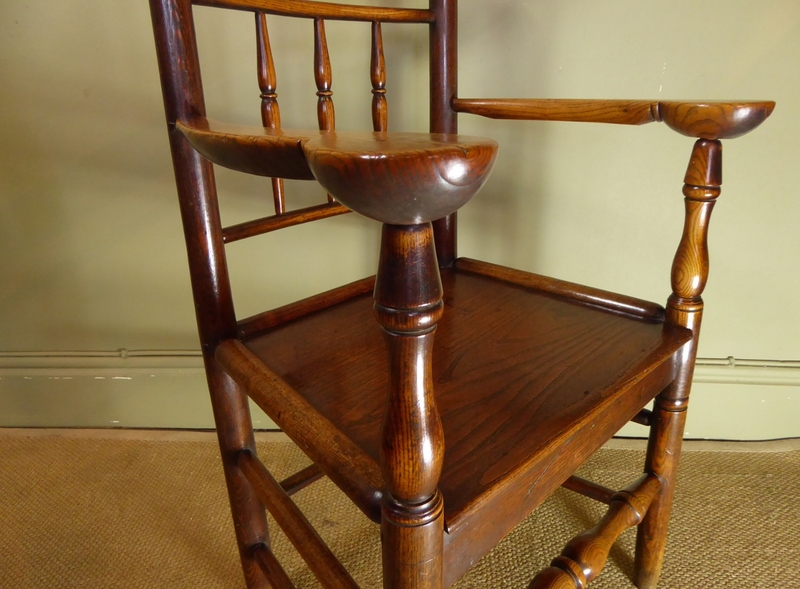 The continuous back legs finished to the top with button and spire finials, from which run the gently curved arms, finished with unusual broad cup hand holds. The arms supported by nicely turned uprights continuing to the slightly tapered foot. The seat within rounded rails, and the whole joined by turned stretchers. Height 36 inches, width 23 1/2 inches, depth 17 1/2 inches.